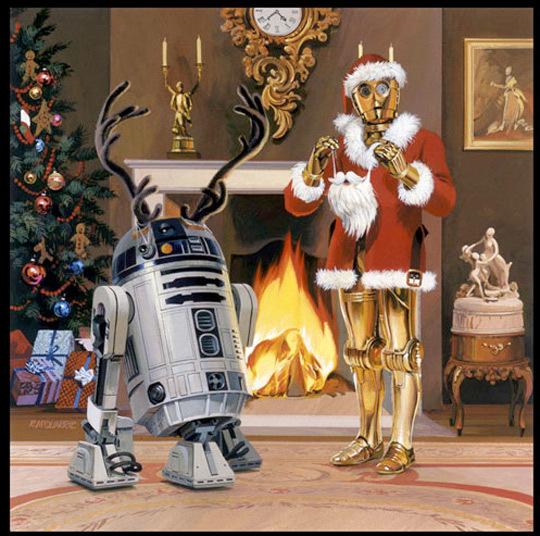 If you're a Star Wars fan, then you're undoubtedly familiar with the infamously terrible holiday special from decades ago. 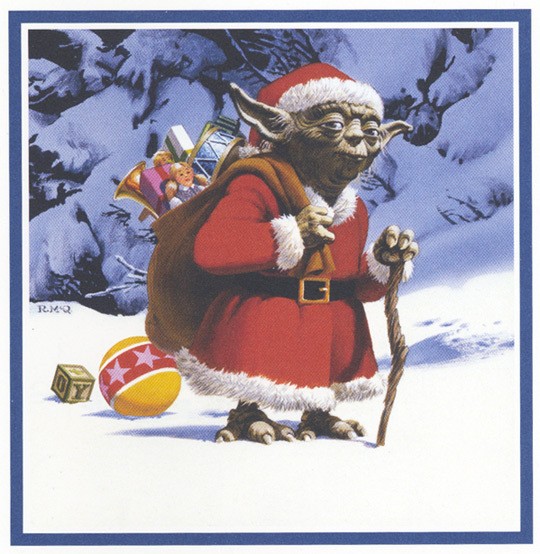 Thankfully, Lucasfilm has never decided to dabble in that territory again, but they do send out some pretty cool holiday cards. This year, they posted a little animated short for their card featuring everyone's favorite astromech droid R2-D2 and the mischievous new droid Chopper from the animated series "Star Wars: Rebels." But what this card really needs is some BB-8, the ball droid who's name was just revealed with other characters from the Star Wars: The Force Awakens teaser trailer. Go watch the first teaser trailer for Star Wars: The Force Awakens again right here. Star Wars: Episode VII - The Force Awakens, continuing the beloved original trilogy about Luke, Leia, Han & Chewie that ended in 1983, is directed by J.J. Abrams, of the films Mission: Impossible 3, Star Trek, Super 8 and Star Trek Into Darkness. The screenplay is written by Lawrence Kasdan (Empire Strikes Back, Raiders of the Lost Ark, Return of the Jedi, The Big Chill, The Bodyguard) and J.J. Abrams, with Kathleen Kennedy from Lucasfilm producing. This debut is the beginning of a brand new saga, with another trilogy planned for this storyline, not to mention other standalone movies in this universe. Disney, after acquiring Lucasfilm, will release Star Wars: The Force Awakens in theaters worldwide on December 18th, 2015. That Lucasfilm player worked better than the Yahoo one. That Yoda is so freaking cute.